Here in Seattle, we're used to rainy days. We hardly ever get bored - just make a cup of tea, light a fire, jump online and amuse ourselves. But once in a while the power goes out - then what? Oh horrors! 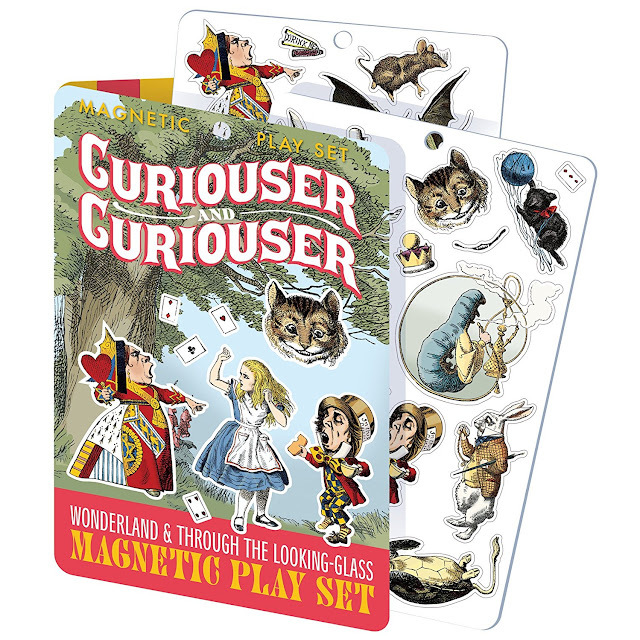 I think I'll pick up this new Alice in Wonderland playset from Unemployed Philosophers Guild. That way I'll have it on hand to stave off boredom once a storm strikes and my home has lost power and we've drunk all the bourbon. Imagine all the bizarre scenes I could set up on my refrigerator, waiting for a hapless housemate to walk by and freak out, or rearrange to get their revenge on me! 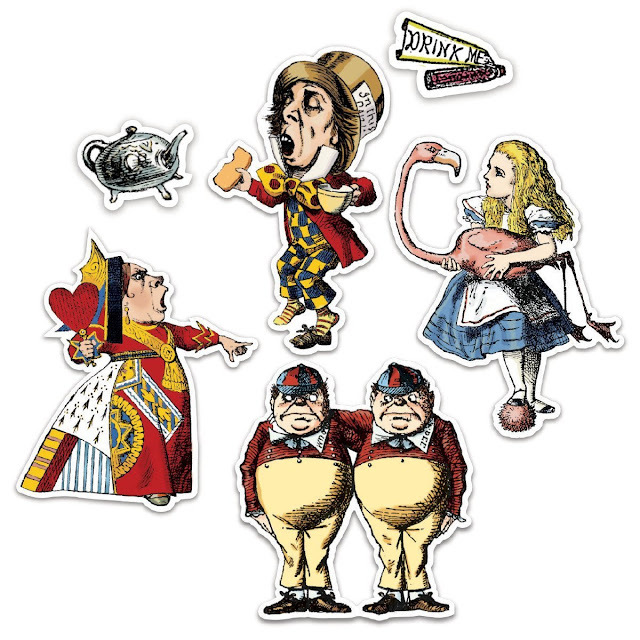 The playset includes a dozen characters from both Alice in Wonderland and Through the Looking-Glass.